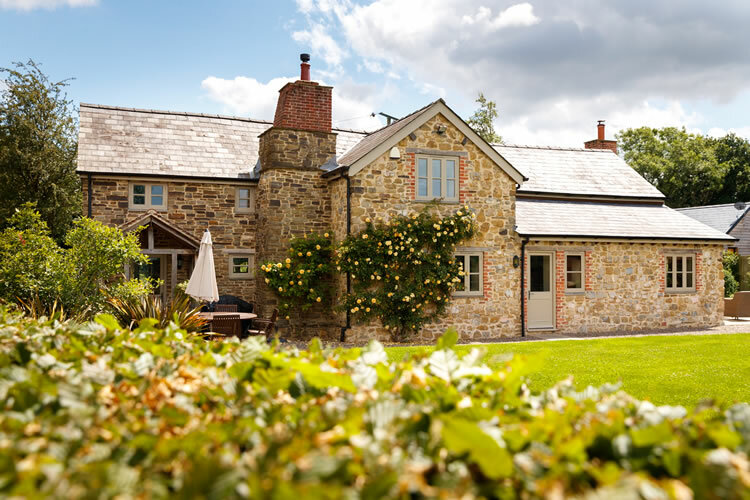 Little Canwood House is a Gold Award winning holiday cottage with a fantastic location in rural Herefordshire and stunning countryside views. Surrounded by unspoilt rolling countryside and farmlands, at this 4 bedroom award winning property you can be assured of excellent standards of accommodation and customer service. The kitchen offers a large family kitchen table which connects to the far end of the large room where there is a relaxing sofa area and TV. Inside, the property has been sympathetically converted with charming features such as wooden beams complementing the modern and stylish décor. This is a very comfortable high quality holiday cottage which has been rated 5 star by the Tourist Board. Whether for families or groups, this is a wonderful property which can accommodate up to 8 people. 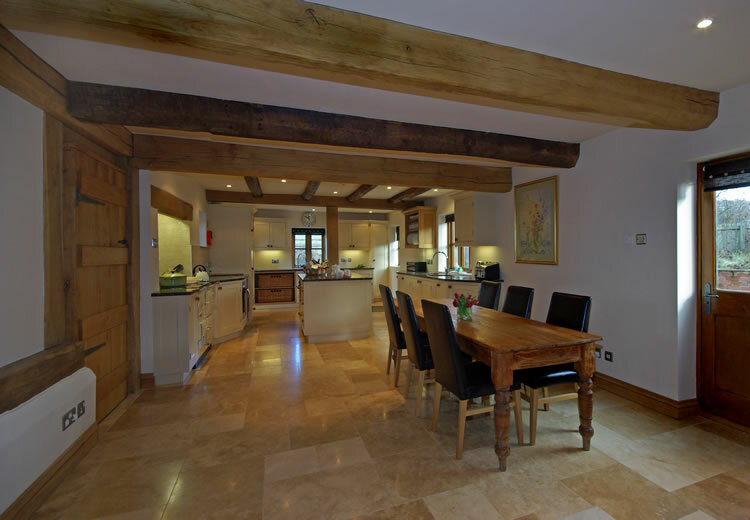 Large open plan, handmade, kitchen with granite tops. Aga (please state whether or not you would like it lit). 1 full sized oven and one oven/microwave combo. Larder fridge, an under counter freezer, dishwasher, washing machine and tumble dryer. The living room is a good size with ample sofas. It is also very light and has doors leading out to the garden on two aspects. There is a wood burning stove which allows you to open the doors; therefore creating the effect of sitting in front of an open fire. A selection of games and DVDs are provided. Bedroom 2: 5ft bed with wardrobe. Bedroom 3: 4ft.6’’ bed with chest of drawers. Bedroom 4: Single bed with another bed underneath to accommodate 1 more person. Small chest of drawers and wardrobe. Bathroom : With bath and shower over.Garden & Grounds. There is a grassed lawn area to the front and rear of the property. There are two 14cm steps leading from the gravel and part paved area to the lawn. At the rear is a raised patio area and a raised lawn area. All of the garden area is securely fenced. There is a shared games room to use free of charge for both our properties. Each property has its own access.